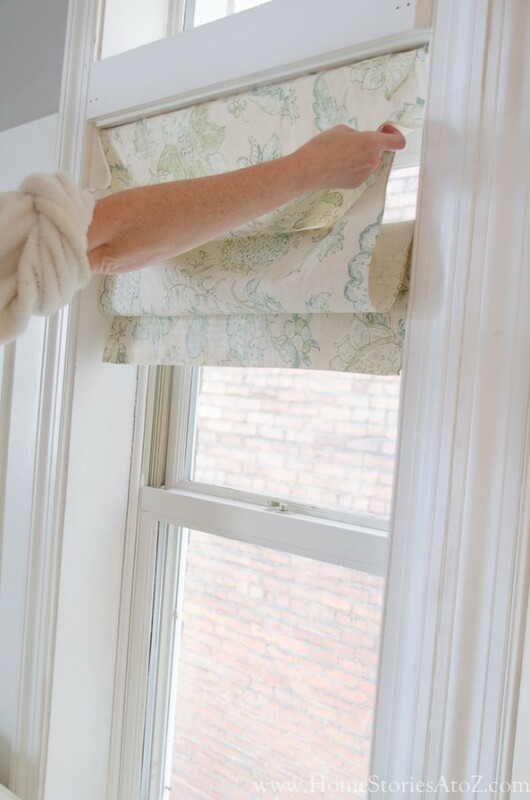 Sewing a custom roman shade is doable but time consuming. 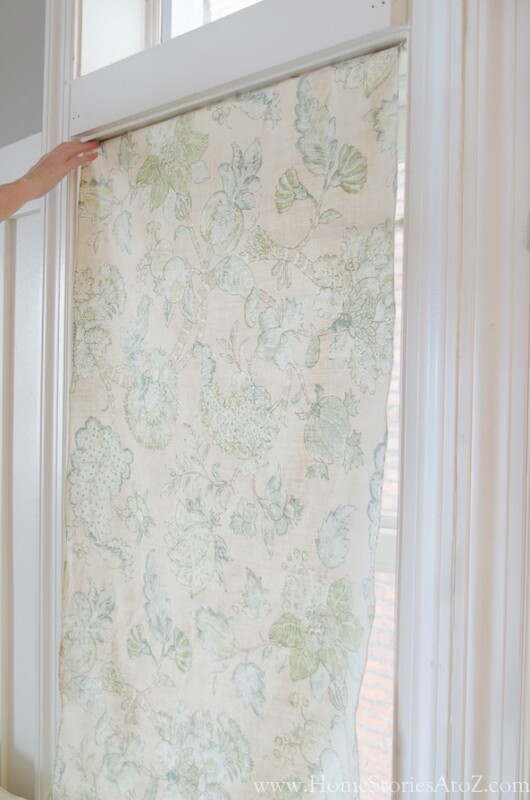 I’ve shown you this trick on how to make faux roman shades before, but it’s worth revisiting! I recently updated our lower level and cannot wait to show you the complete transformation! 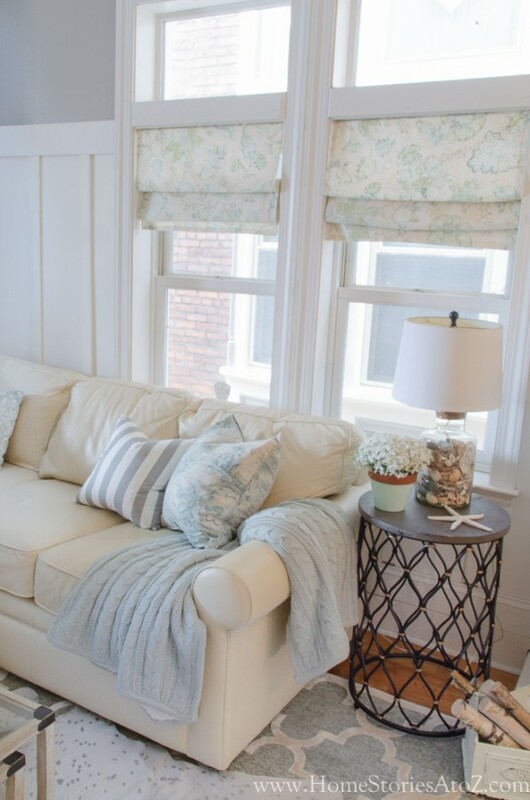 But today I’m just going to show you one little peak at my updated window treatments and how stupid simple it is to create this look. 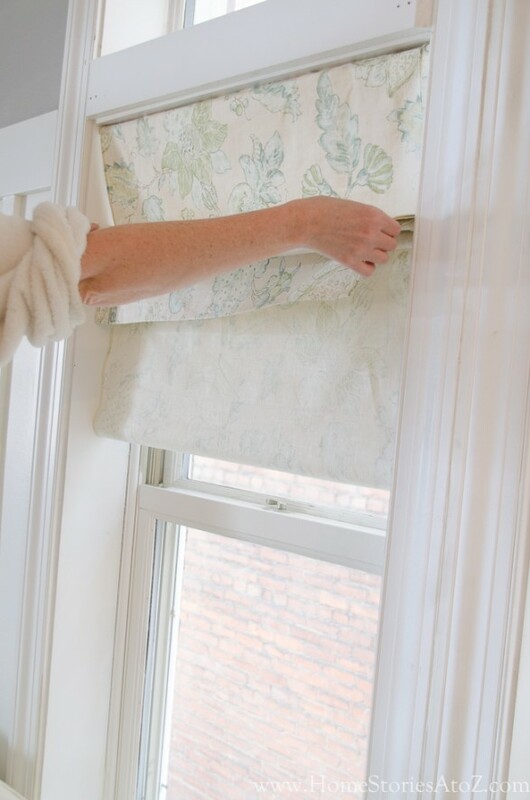 Step 1: Measure the length and width of the window area that you want to cover and cut and sew your fabric according to size. 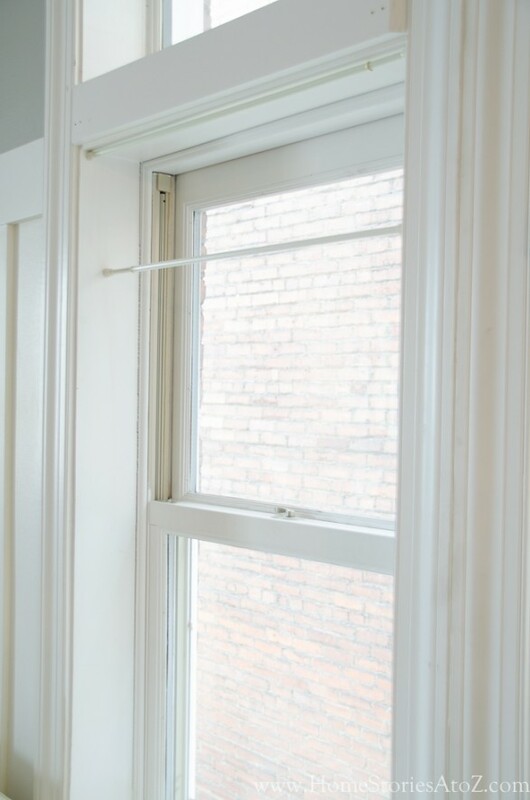 Step 2: Place your tension rods in your window as shown below. I placed mine about 8 inches apart. Step 3: If you create a pocket rod at one end of your fabric, you can slip the rod through your fabric. I didn’t do this so simply tucked the top of my fabric above the tension rod. If you pull on it, then it will fall but it’s not going anywhere otherwise. Step 4: Drape your fabric over the second tension rod with most of the fabric draping over the back of the rod. Step 6: Pull the back of the fabric forward and fold it over to create your top pleat. Fluff until you are happy with the look. Step 7: Enjoy! You just finished off two windows in a matter of minutes! Watch how quickly you can create this look! It literally takes a few seconds to fold the shade back into place. If I want privacy, I can let them down and just fold them back up when I want light. 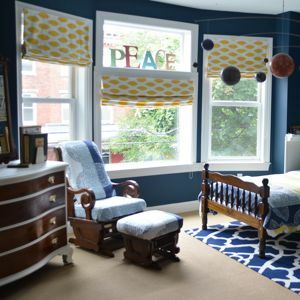 It’s a fantastic non-permanent and non-damaging solution for window treatments. 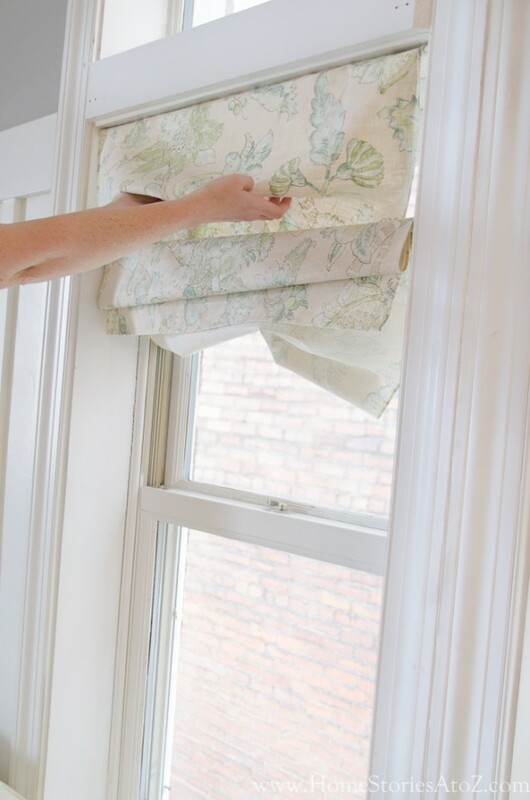 I like to change my curtains several times a year, so this provides an ideal solution for me. Feel free to pin this idea to save for later or to share with your followers! You might also enjoy the related posts below. Love this idea! 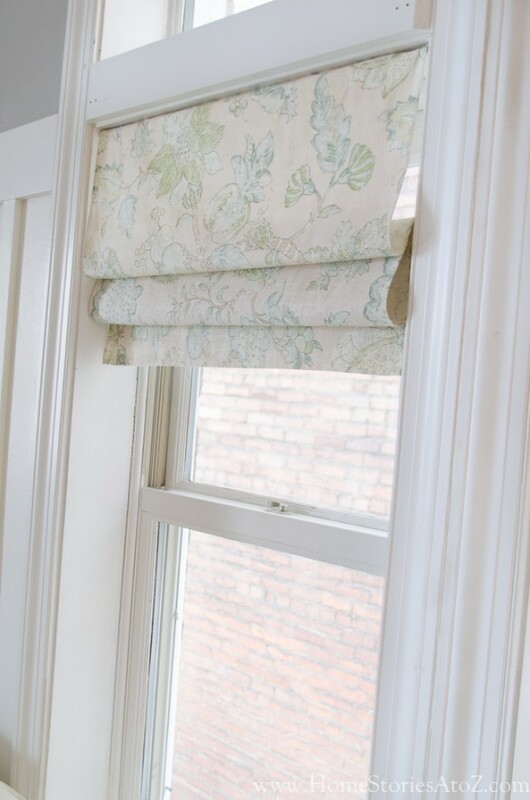 I sew all the time but the thought of sewing Roman shades seemed too time-consuming. 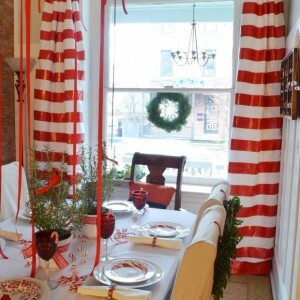 I plan to use this method for our dining room windows, and they’ll never need unrolled for privacy. I’m just wondering how long your fabric panels are before you start. Are they the full length of your window? Thanks so much! Thanks! Yes, I made mine the full length so that if I want privacy it’s an option but you certainly don’t have to make them that long. I recommend folding the fabric in a mock-up before you cut to just see what works best for your needs. 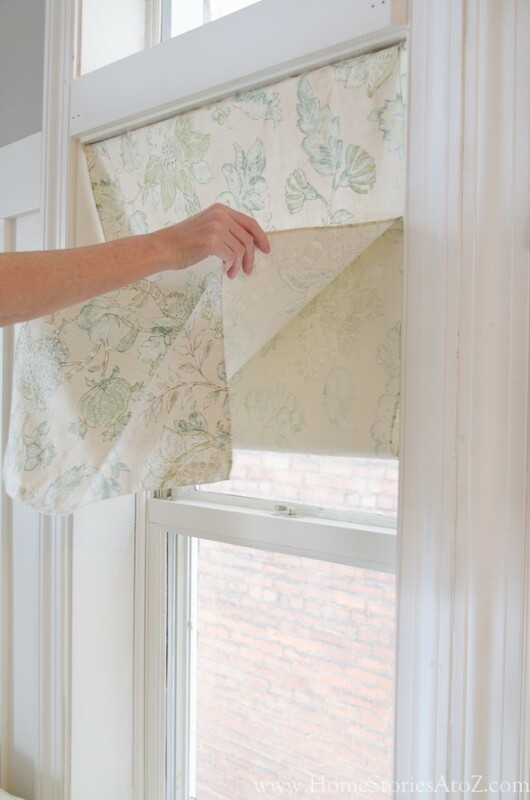 My windows are not as tall as yours, but you can control the length and the number of folds. We rarely unfold ours for privacy. I would probably choose a different option if you need to unfold that many every night. 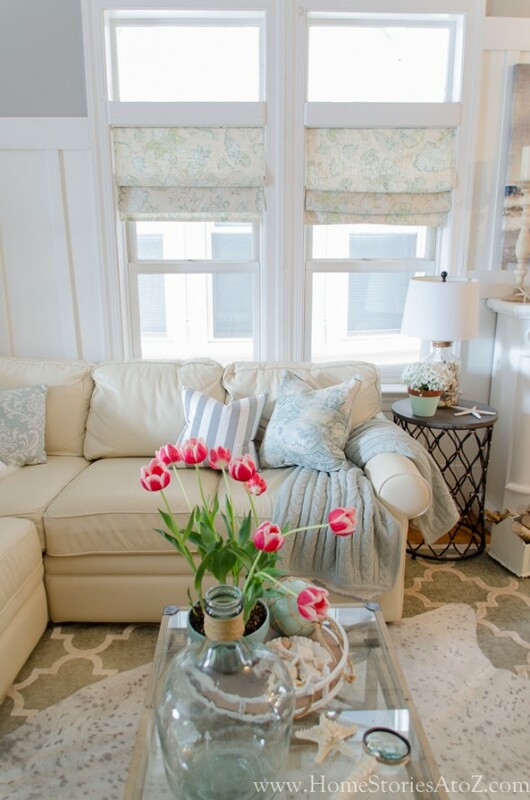 If you’re not unfolding, you don’t need the fabric to cover the entire length of the window and can decide how much you need based on what looks best. You’re so welcome! Great minds think alike. 🙂 Let me know how it works for you. If they get dirty, you just launder them. 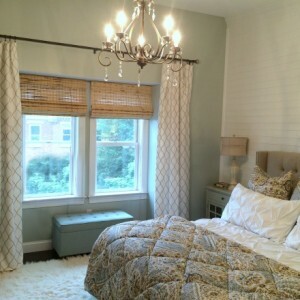 Depending on your material choice you should be able to wash, dry, and iron like you would any other curtains. Love the tutorial, that’s my kind of project! Thanks! This looks amazing and so easy. This will be definitely my weekend project. Thanks for the great idea! 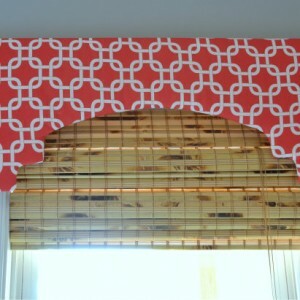 Great idea to dress up windows in a rental! Brilliant! I can’t wait to try this, thanks for sharing!